It’s been the news on everyone’s lips this past month, and now, finally, we’re here to tell you that Three Blue Ducks has opened its doors in Brisbane—and she’s a total knock out. Darling of the Australian dining scene, early adopters of the now commonplace ‘paddock to plate’ movement and celebrators of the east coast’s impeccable local produce, Byron Bay’s Three Blue Ducks is synonymous with elegant yet casual dining. But, in probably the best news we’ve heard since the newly opened W Hotel announced their imminent arrival, Three Blue Ducks is open in Brisbane and rearing to go. 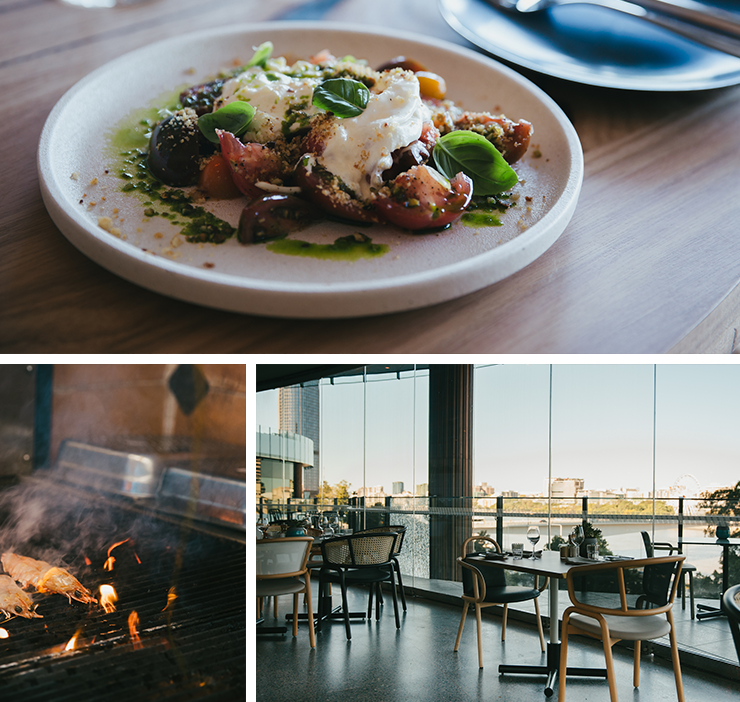 Taking up residency of the third floor of the luxurious W Hotel, the crew behind Three Blue Ducks have been exacting in their expectations of their first QLD space: luxurious but not ostentatious, relaxed but not casual, and while retaining much of the charm of the original location, their Brisbane offering is unique to the area. That’s not to say you won’t find some of your faves on the menu, though. As well as a charcoal pit and woodfire oven, they’ve also brought with them their famed rotisserie—the gang’s all here, guys—so get ready to loosen those belt loops and get stuck in to the meatier end of the menu. Expect classics like their famous spanner crab scramble, coal roasted lamb and the chilli glazed roast chicken, as well as their addictive cauliflower cheese and, of course, their house baked breads. As if all this didn’t make you the slightly crazy side of hungry, Three Blue Ducks is open seven days a week for breakfast lunch and dinner. The best bit of all? They take bookings!